Union Minister for Housing M Venkaiah Naidu has released the guidelines for availing of loan subsidy under the Pradhan Mantri Awas Yojna (PMAY). Under the guidelines, home buyers with an annual income of Rs 6 lakh-Rs 18 lakh will be eligible for receiving interest subsidy on housing loans taken in 2017. The Assam government has signed two memorandums of understanding (MoUs) with the State Bank of India (SBI) to provide housing loan at a subsidised interest rate of five per cent to its women employees and at 5.5 per cent to male staff. 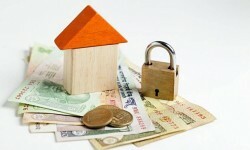 The loan will be free of any collateral security and processing fee. The National Highways Authority of India (NHAI) will soon acquire 24.03 hectares of land in Bijwasan and Bamnoli areas of the national capital to complete the construction of remaining one-kilometre portion of the Dwarka Expressway. The authority issued a notification under the NHAI Act to ensure the process is completed without any hassle. The Indian Railways will offer a 60-year concession period to make investing in station redevelopment lucrative for private investors. The Indian Railways plans to redevelop 400 major stations, envisaging a minimum investment of Rs 1 lakh crore. What Could Improve India's Rental Housing?